Anita Nair is a prize winning, internationally acclaimed author, playwright, essayist, lecturer and literary personality. Her novel Ladies Coupe first published ten years ago by Chatto, is a feminist classic published in thirty languages all over the world. The Telegraph called it ‘one of the most important feminist novels to come out of South India’. Her first literary noir novel Cut Like Wound was published Harper Collins India, Bitter Lemon in the UK and by Guanda in Italy, Albin Michel in France, Signatuur in Holland and Duomo in Spain. 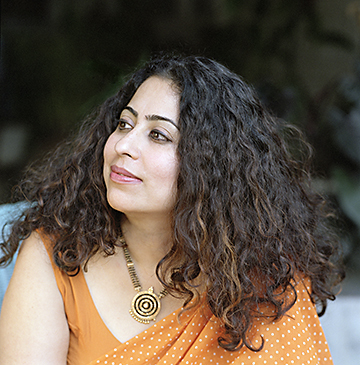 Anita Nair lives in Bangalore, India. Her website carries details and reviews of her extensive canon of work.